Neutrals never had so much fun! Our white and cream metallic cards are a top choice for wedding invitations, programs, table cards and more. Print cards with a laser printer or send us your design and let us print for you! 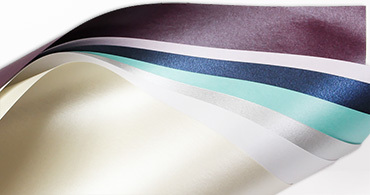 Shop shimmering, pearlescent metallic paper in two weights and several sizes for endless possibility. Shimmering whites and creams are most popular for wedding season, but check out all the rich colors for your big day! It's exciting when your wedding reply envelopes start coming back (and even more exciting when they are shimmery, shiny, metallic reply envelopes)! Shop two sizes, two flap styles, endless colors. Order blank or printed with your address . Our most popular wedding envelope size meets one of our most popular wedding envelope finishes to create our A7 metallic envelopes collection! Pair with A7, 5x7 metallic cards to complete the look. 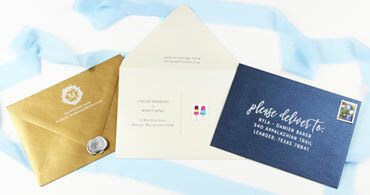 Metallic sheen inside and out, modern European flap, rich, eye-catching color - trust us, you're going to love these envelopes for wedding invitations! 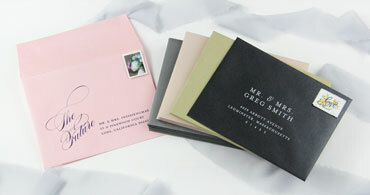 From small response envelopes to large invitation envelopes, we have something for everyone. Want just a bit of shimmer? 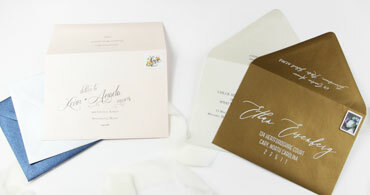 Line your own envelopes with metallic liner paper. 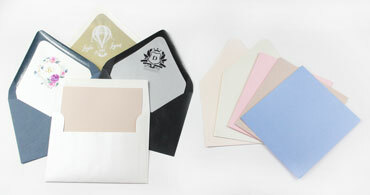 Papers are available for straight flap envelopes and Euro flap envelopes. 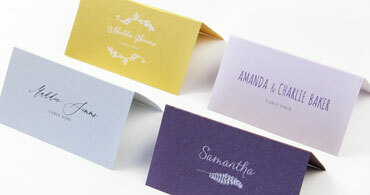 Order blank or printed with a custom design to bring your whole invitation suite together. Shop shimmery wedding place cards in two sizes and a rainbow of colors. 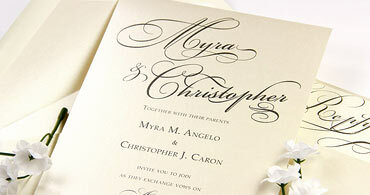 These tent style cards can be ordered blank for hand writing or printed with your guests' names. Seating cards never looked so good!